For our second stock analysis I decided to choose another holding of mine that I believe would turn out to be a buy based on my analysis. I was part right. I knew there would be flaws with my model, but I never intended for it to be the definitive answer to "should I buy this stock". This week I am analyzing Microsoft (MSFT). This former stock star used to be the top holding in most major mutual funds in the 90s and early 2000s. 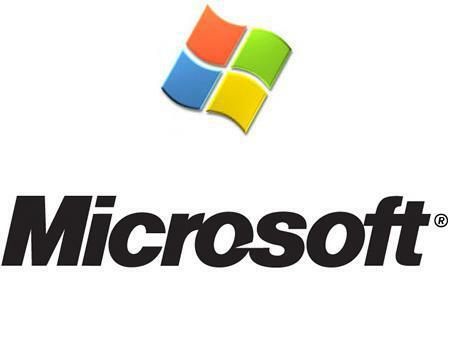 Microsoft was constantly growing and consistently making billions in cash every year. Although their growth as certainly slowed, the billions of dollars continue to be made. Like Intel, Microsoft has transformed itself into a cash cow business that now rewards its investors in dividends instead of hoarding all the cash they make. Microsoft is in the early stages of a dividend paying company, and my analysis show's this may be a great time to get in on the action. Company Description: Microsoft (MSFT) develops the Windows PC operating system, the Office suite of productivity software, and enterprise server productssuch as Windows Server and SQL Server. Other products include the Xbox 360 video game console, Bing Internet search, business software, and software for mobile devices. Dividend Reliability A stock's dividend reliability is determined by its dividend payment history as well as its current financial health. Total of four points available. The number of Consecutive Dividend Payments - The longer a company has been paying a dividend, the more ingrained the dividend payment is part of the company culture and the less likely it would be removed. Cash Flow Payout Ratio - The percentage of free cash flow that is paid out as dividends. Debt to Total Capital - Too much debt can hinder dividend growth as cash is going to debt and interest payments. Total capital is a combination of debt and shareholders equity. Dividend Growth A stock needs to be growing its dividend on an annual basis. The growth of its dividend should be at a respectable rate, especially if the current yield is low. Total of four points available. Number of Consecutive Dividend Increases - The longer a company has been consistently raising a dividend, the more ingrained the dividend increase is part of the company culture and the less likely it would be changed. 1 Year Cash Flow Payout Ratio <= Avg 5 Year - A cash flow payout ratio that is going up tells us that dividend payments are eating into the company's bottom line. This could signify a slowdown in dividend growth in the future or a slowdown in the companies earnings. Ideally we'd like the ratio to be less than or equal to the average 5 year payout ratio. 1 Year Dividend Growth Rate > Avg 5 Year - If the 1 year dividend growth rate is higher than the average 5 year, then we know the dividend growth is accelerating. Current P/E < Avg 5 Year P/E - If the current P/E (price divided by earnings) is less than its average 5 year P/E, then we are getting the stock cheaper today than in the past. PEG < 1.5 - The PEG ratio (Price/Earnings To Growth ratio) is a valuation metric for determining the relative trade-off between the price of a stock, the earnings generated per share (EPS), and the company's expected growth. The lower the ratio the better. Strengths - Microsoft has a strong name recognition. The Microsoft Office productivity suite and Windows Operating System are widely used throughout the personal and business community. Its strong balance sheet will allow it to continue increasing research and development investments. Weaknesses - Microsoft did not quickly recognize the growth opportunities of the Internet and allowed Google (GOOG) to get a foothold in the search engine arena. It also stumbled in developing viable smart-phone and mobile computing options and has fallen behind Apple (AAPL) and Google. Opportunities- Gaming has become a billion dollar industry and Microsoft is consistently gaining market share with its Xbox gaming console. A successful partnership with Nokia (NOK) could finally get Microsoft a foothold in mobile computing. Threats - Apple and Google have proven to be the innovators in the technology sector the past decade, causing Microsoft to lose market share in several of its core businesses. Open source software (Linux) remains a viable threat to its server O/S business. Piracy and antitrust litigation continue to cost the company billions of dollars a year. Conclusion - MSFT scored 2 points in dividend reliability, 2 points in dividend growth and 2 points in fair value for a final score of 6/10 points which makes it a Hold, revisit within a year. So here is where I find weakness in my rating model (and will happily point it out). The only points where MSFT does not score is consecutive dividends and consecutive dividend increases (making it a complete opposite of my analysis of KMB). All else being equal, one year from now it would rate as 8/10 Strong Stock. Based on its financial strength I see no reason why MSFT would not continue rewarding investors with dividend increases. I feel the current valuation is an excellent opportunity to create or add to a position in MSFT. The current 3.3% dividend yield is attractive and future dividend growth potential makes it a great addition to a dividend growth portfolio. Disclosure: I am long MSFT.